I initially wanted to take a flight from Manila to Caticlan, since Caticlan is 10-20 minutes away from the port. However, with the typhoon, Caticlan airport was closed. 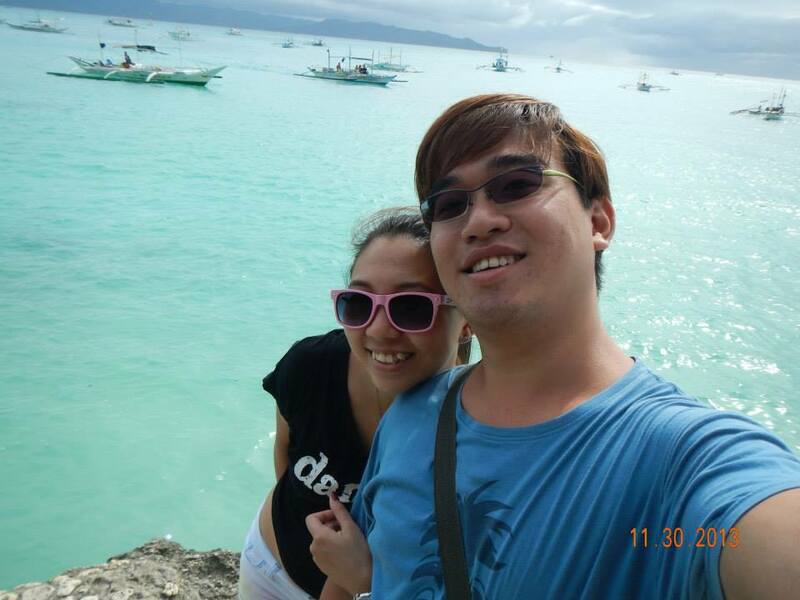 So, my man and I took an overnight flight on Jetstar to Manila, reaching Manila about 5 in the morning. We then had to wait for the airport transit bus, which took forever to arrive by the way, to take us from the International airport to the domestic airport. There, we took Air Asia from Manila to Kalibo airport. Remember I said that I wanted to take to Caticlan airport since it was 10-20 minutes away from the port? Well, Kalibo airport is 3 hours away by bus! Upon arrival, there will be tons of vendors, touting for bus rides to the port. Since I am ever paranoid, I have booked an airport transfer with the resort I’m staying with, so at least I have the peace of mind that I won’t get kidnapped by unknown bus drivers. After the exhausting journey from Singapore to the port, you will be greeted by several porters, willing to carry your bag and luggage for you to be loaded on the boat. Don’t think they are being nice, as after you reach Boracay island, they will demand that you “tip” them, while holding you luggage hostage. So this, my dear readers, was my home for the next 6 days. I really love the novelty and the rustic feeling of this whole place. Of course, with a name like Spider house, it is definitely not for people with prince/princess syndromes. Of course, I had a few grumbles like waking up every morning to Wasps buzzing in the room and the walls being so paper thin you can hear the conversation of the next room. However, if you come to appreciate this place, no Shangri-La can beat it. Why have air-con when you have the sea breeze 24 hours a day? Why do you need a pool when you have the world’s largest pool right at your door step?You will first have to walk through a cave, climb some stairs and finally reach the hotel lobby. 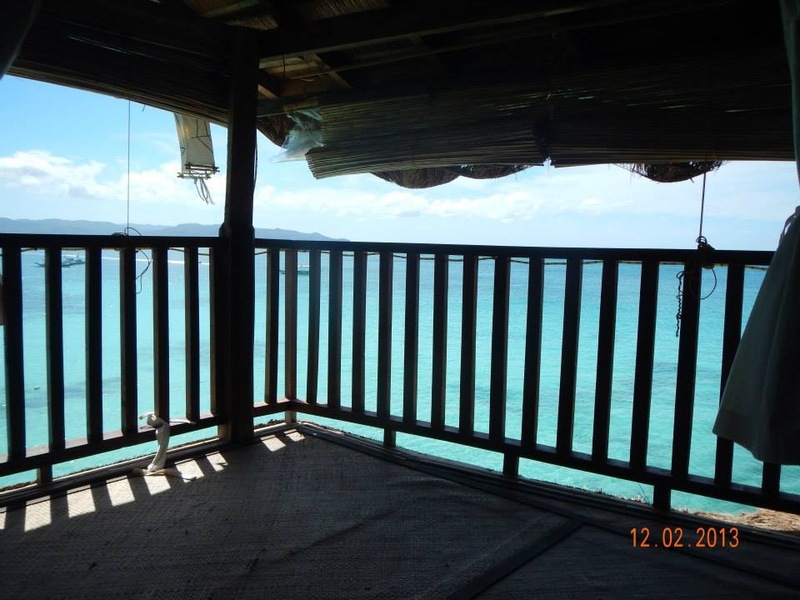 I kid you not, Spider house has the best view in Boracay! Yeap, this ladder leads from the lobby to the sea! Spider house from the outside. Some people say that they are able to jump from their room into the sea! Waking up to this everyday is certainly worth all the wasps in the world every penny, and the best is, it really isn’t all that expensive. 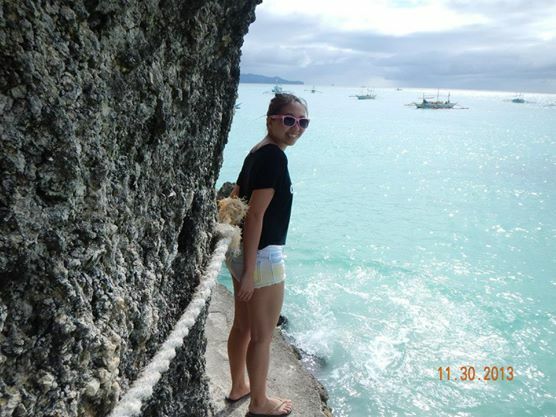 Boracay is divided into 3 different beach stations. Beach station 1 will be all the expensive beachfront boutique resorts and hotels, followed by beach station 2 being the second most expensive and so on. Why beach station 1 is the most expensive? Well, it is home to the famous White Beach. Spider house isn’t located on any beach station, rather on a beach called Diniwid Beach, which is about 2-3km walk from beach station 2, so it is great for people who wants to escape the hustle and bustle of the crowd, and its a lot quieter as well. 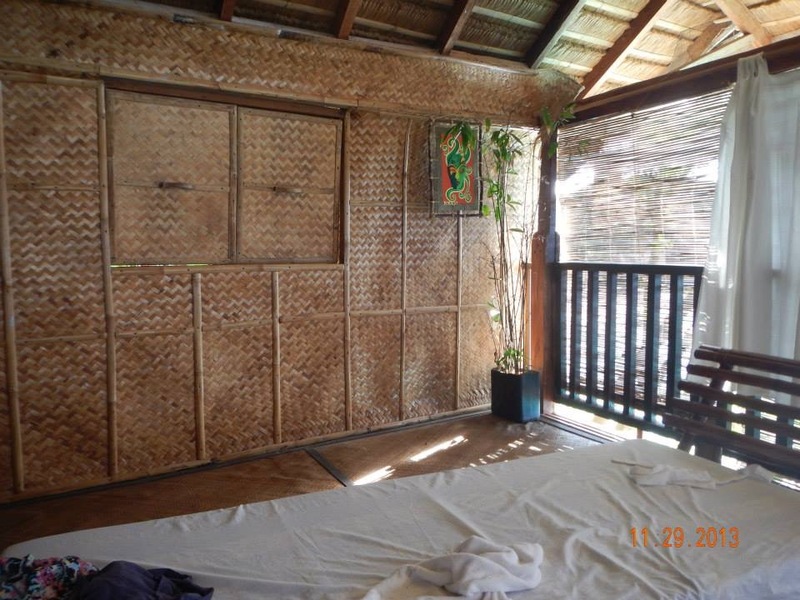 Due to the location, it is quite affordable, having paid about SGD$100 per night, and travelling around will require a Tuk Tuk. Do however, remember to bring a torch-light after dark as there is hardly any lighting from the main road to the cave entrance. The first time we returned at night, we were really paranoid that the driver is taking us somewhere else besides our resorts! Together with our new-found friends, we decided to visit the highly acclaimed D’Talipapa. It is basically a wet market, selling all sorts of seafood. From Lobsters the size of a man’s arm, to Sea Urchins! So what you do is, you buy whatever seafood you fancy, and proceed to the restaurants at the side with the signs “Paluto cooking service”. What they will do is, cook whatever you have bought for you. Their menu mainly consists of the different cooking styles and sauces to be used. With glorious food ending our first day, the journey here was really worth it. I am very much in love with Spider houses’s American breakfast that I think I ate it everyday while I was here. 2nd day was all about beach activities! As I have yet to get my PADI Certification, best i could do was go reef walking. That was also the first time I went up close and personal with fishes underwater (snorkelling don’t count!). 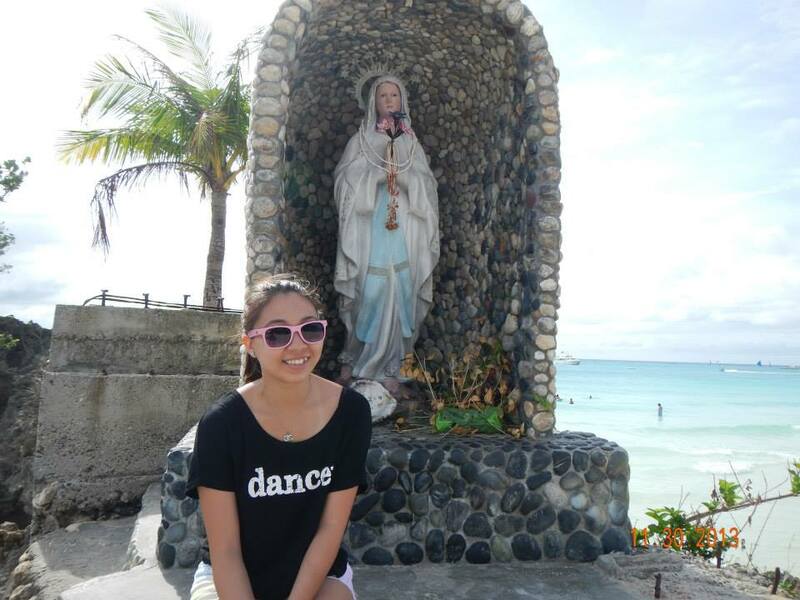 I really do regret though, not being able to dive at Boracay. 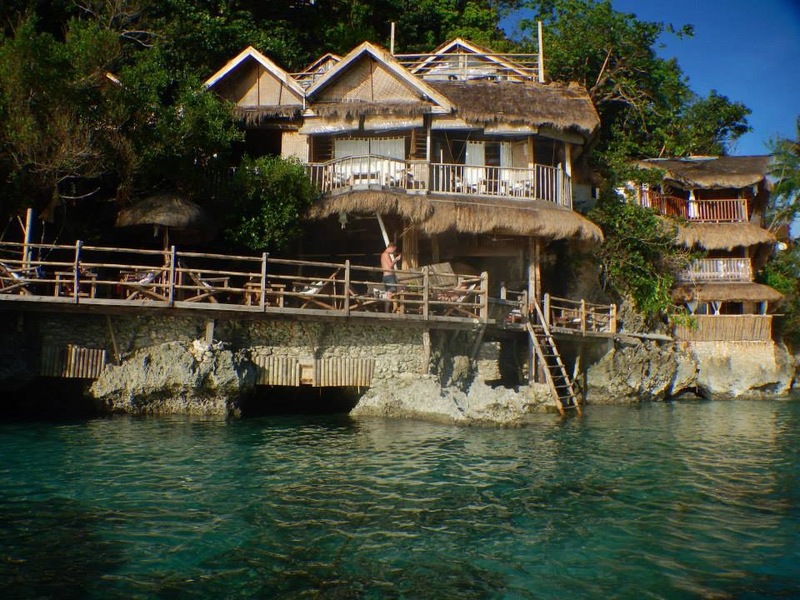 Maybe, one day I will go back just to dive there, even though Boracay is more famous for its beaches than dive sites. Aside from reef walking, we also did Parasailing, which to be honest, wasn’t all that enjoyable. People who have no idea what Parasailing is, you are basically harnessed unto a parachute, and a speed boat will pulling you along, while you are up in the air. The view was awesome, no doubt, but no one ever warned me about the motion sickness I will feel. I came that close to puking in mid-air, trust me, I was severely tempted to. As we bought a package of 3 activities, the last activity was fly fishing. Although it was fun, sort of , in a very masochistic way, I ended the activity early as I felt terribly sick from the parasailing. Having to hang on to dear life, feeling the rope burn your hands while gravity pulls you towards the water, before finally succumbing to it. This is definitely not something I will try again. 3rd day was yet another day full of adventures. While waiting for our turn to ride the ATV (which was situated in Happy Dreamland theme park), we decided to make better use of our time, so instead of sitting around waiting, we went to try the other rides. Some of the rides were in various stages of disrepair, but our guide said that most of the rides are only opened at night. 3rd day was mostly free and easy. Walked from Spider house to Beach 1. The walk was relatively enjoyable, traversing on a cliff side. Being Asian, homegirl needs her bubble tea, even while travelling! 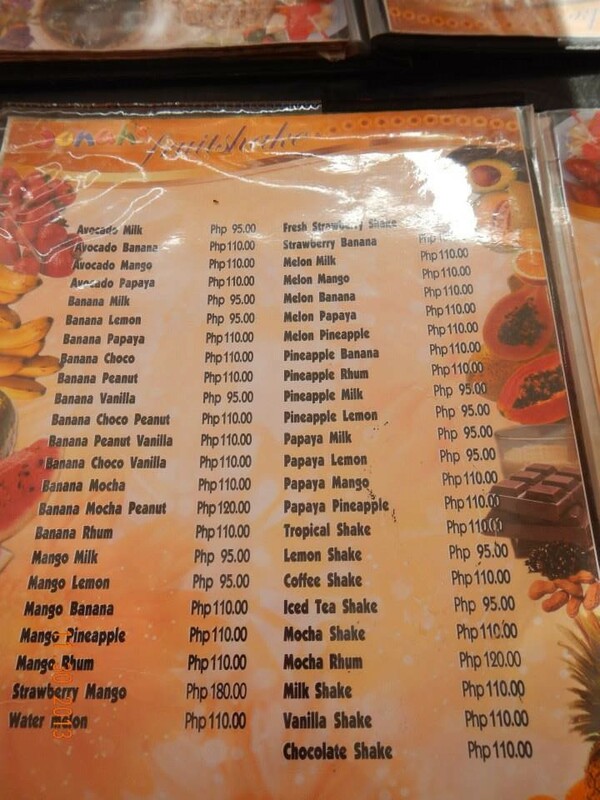 Jonah’s Fruit Shake is a must try in Boracay! It is inexpensive and tastes oh so good! 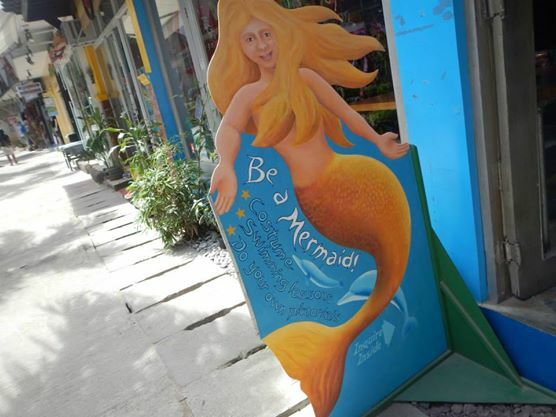 Wanna be a mermaid, anyone? 4th day, we decided to go snorkeling and island hopping. 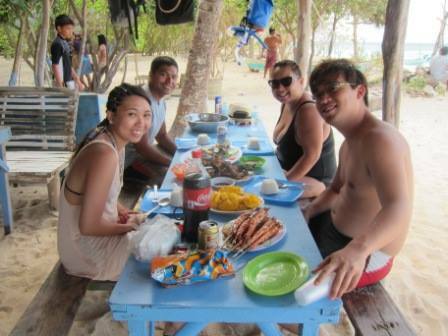 We were suppose to go to an island called Crocodile Island to snorkel, but couldn’t due to the extremely choppy waters. We also couldn’t go to Crystal cove, which apparently is a cave you can swim in. Bummer. Decided to change my braids to cornrows, since its not something I did everyday. 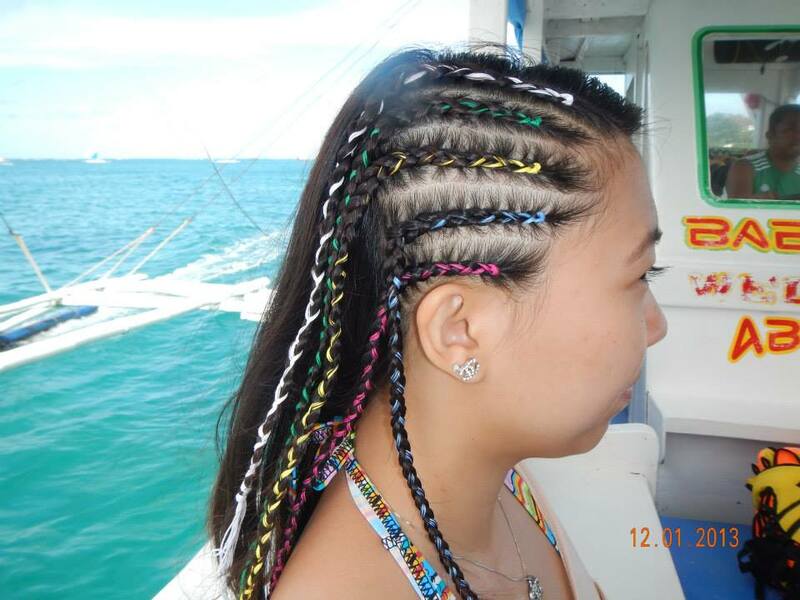 Lesson learnt: do not do this before island hopping or snorkeling, as the sun would be heating up your scalp like hell. 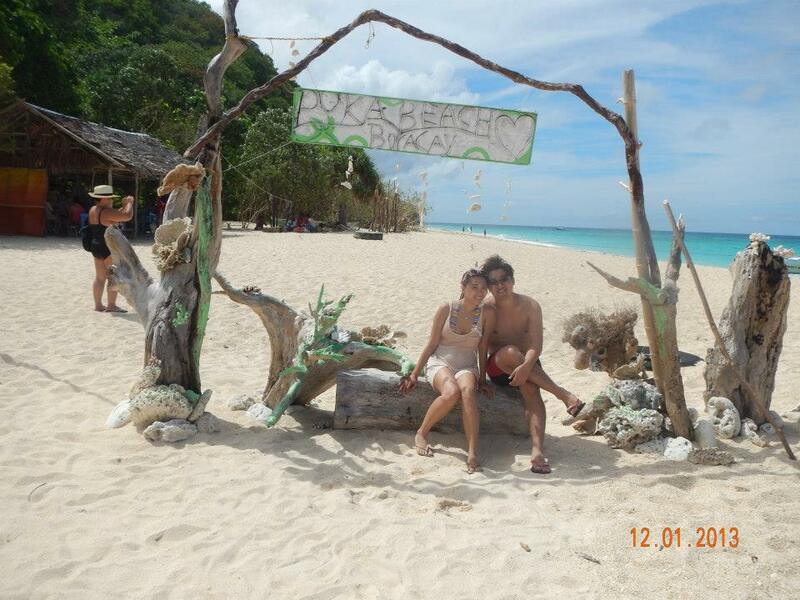 First stop was an island called Puka beach. It was named after the many Puka shells found, scattered all around the beach. When we’re back, its time for some relaxation. What can get better than having a body scrub by the beach?! Highly recommended to me by an Australian lady I met while choosing which massage to go for, the coffee and coconut body scrub. They actually used grounded coffee and coconut powder to scrub your whole body! It got quite messy after a while, and you had to wash off in the sea. Doesn’t sound as bad, but imagine bathing off in the sea, with fishermen on boats nearby and throngs of tourists walking around. Worst is getting the mixture out of your bikini area. But, the finished product is smooth and hydrated skin! The last night in Boracay, we decided to visit the night life. 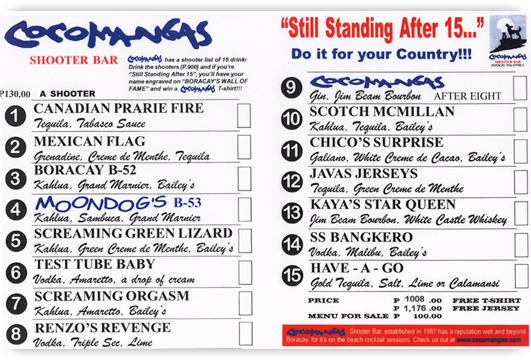 We went to a club called “Cocomangas“ where they are famous for a challenge called “15 and still standing!”. Basically, its 15 different concoctions of shots, and if you are still standing after all the shots, you get your name and country engraved on a gold plaque and hung on the wall, and also a free T-shirt to announce to the world of your feat. Here is our group photo. We invited our guide to join us, since she has become a friend to us. She was so accommodating, helping us take pictures, carry bags during rides and overall just making sure we are safe and having a great time. We were also quite shocked that at about 11pm, the club has suddenly turned into a ghost town with only a few Caucasians dancing on the dance floor. It was then, we found out that most islanders wake up really early, like our guide, who starts work at 4am! The trip back to our resort a bit hectic, since my man has decided to get drunk and started scolding the Tuk Tuk driver. Thank god the driver was nice. 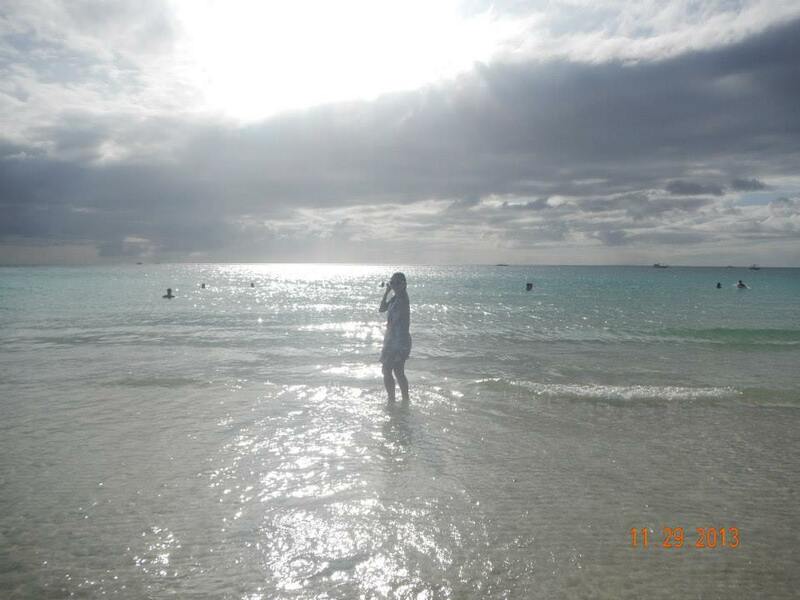 Goodbye Boracay. It has been awesome! Since our flight is early in the morning the very next day, and we had to meet the timings of ferries and buses, we decided to stay a night in Manila. We chose a hotel near the airport, but the room wasn’t photo-worthy. so yea. 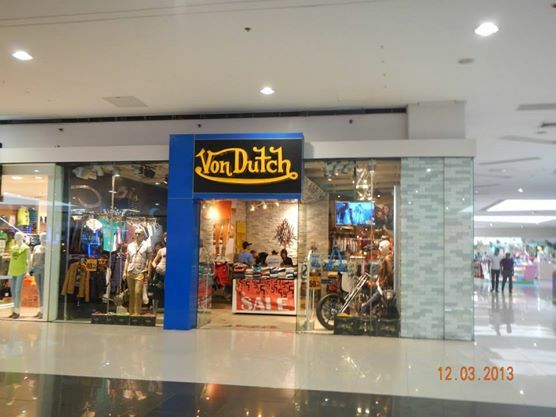 Now this is a brand you hardly see anymore in Singapore, let alone the shop! 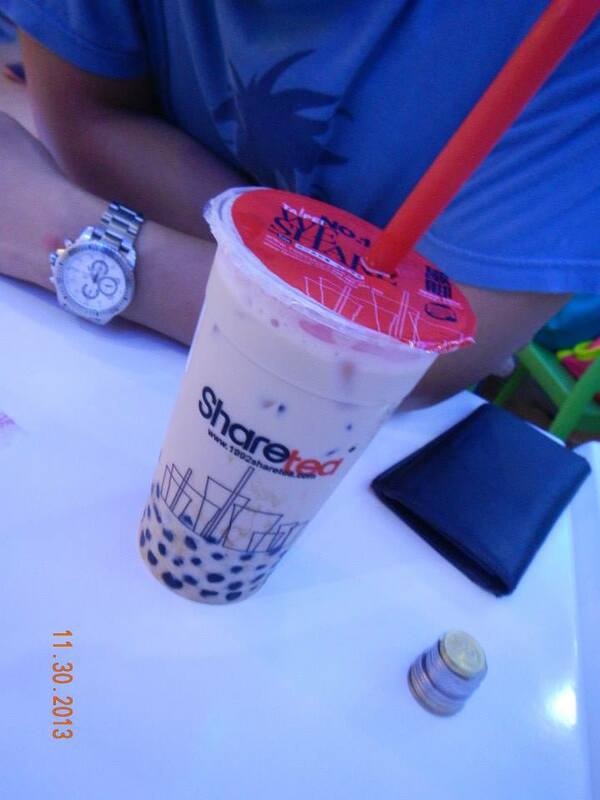 We went to Mall of Asia, as recommended by my cousin and was blown away by the size! There’s an ice-skating rink, a mega cinema and a Chef Toby’s shop! Readers who have yet to try Chef Toby’s popcorn, oh my lord, it’s the bomb I tell you. Forget Garrett’s popcorn, Chef Toby wins hands down. To make it even more exciting, a whole bucket is less than SGD$5! How to bring back so many buckets?? Do they do shipping?? Why I chose to post these 2 photos? Well, a little background story. My man is a basketball player and for a short period of his life, a basketball coach assistant. 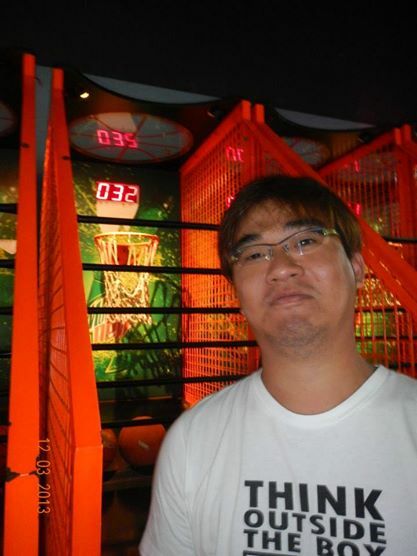 To think a newb like me, who hates any type of ball games, can score higher than a basketballer? Beginner’s luck? Maybe. So….. yea. 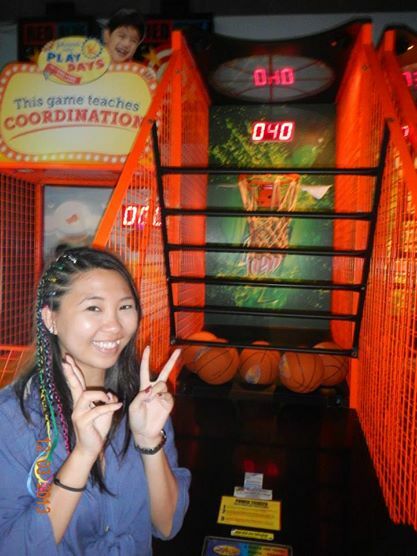 We spent our day in Mall of Asia, Asia’s biggest mall, playing in the arcade. Always haggle, and i mean ALWAYS. Unless it’s at a restuarant, always haggle! Much as you love the white powdery sand at White Beach, bringing back any sand is ILLEGAL. Do not be tempted by the nice bottled sand key chains the locals try to sell you, unless you want to be detained and pay a hefty fine at the airport. Be mentally prepared to be hounded by sellers. Be it for souvenirs, activities, or services. They will hound the s**t out of you. Just learn to say NO. If you were to see the start of my post, I talked about the porters who WILL hold your luggage hostage. If you really need help, by all means, but be prepared with a small sum of money when you reach land. Just as beach station 1 is the most expensive place to stay, beach station 1 is also the most expensive place for activities. Be it for food or activities., if you want it cheap, walk a bit further to beach station 3. For the best view of the sunset, go to Spider house! Many locals will highly recommend this place, and the lobby/bar is open to public.